Our biggest XP event EVER begins this Friday! Our Biggest XP Bonus EVER! 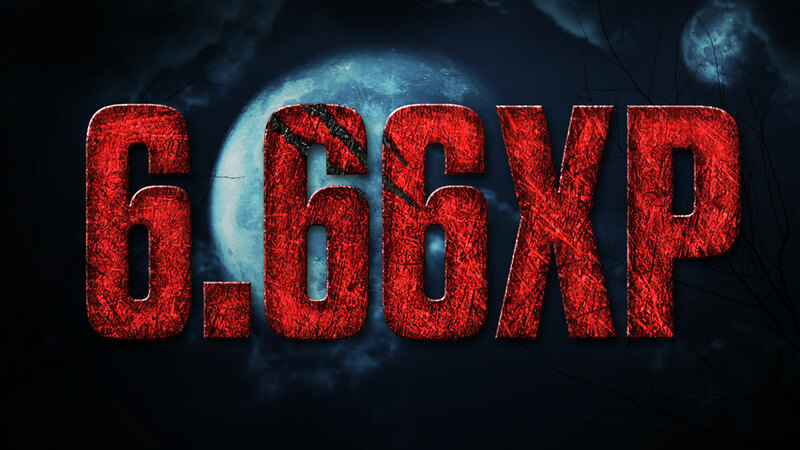 6.66XP will be active all the way through until November 5th across all Versus and Horde modes – not just Pumpkin Ball and Monster Mash – so get your grind on for your next Re-Up however you’d like. The ultimate collection of previously released Zombie and Day of the Dead characters is in the new Lost Souls Gear Pack arriving this Friday! Head to last weeks’ What’s Up for full pack details. This Pack will be available from October 26th to November 5th as both a 400 and 2000 Credit variant. 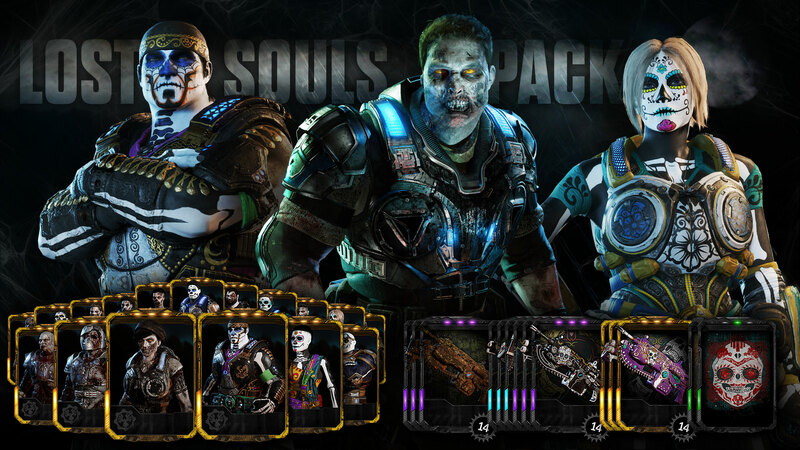 The Lost Souls Mega Pack and Mega Pack bundle will also be available for a 50% discount until November 5th. Our Halloween Horde Event ‘Monster Mash’ is getting turned up to 11 – Horde Mania style. If you’ve never experienced Horde Mania, it’s a 25 wave variant of Horde with no setup time between waves (other than the scoreboard pause). The action just keeps on coming, whether you are ready or not. Experience this amped up Swarm only Horde variant beginning tomorrow. Don’t forget, the entire Midnight Omen Weapon Skin collection features as Boss Loot in this playlist too. For Versus fans, our revamped version of Pumpkin Ball also continues until November 5th along with the rest of the Halloween festivities. If you haven’t tried it yet, it’s fast and a ton of Halloween feeling fun – with almost instant self revives, your enemies just keep coming at you. We’d love to hear what you think of this new version of Pumpkin Ball, so send us your thoughts on our official forums or via Twitter by tweeting @CoalitionGears. With our Season 5 challenge arriving in early November, it's almost time for us to reveal all. Next week, we’ll be unveiling the Season 5 Ranked Challenge (aka this Season’s Ruby Scion challenge) and giving you your first look at the reward for completing it right here in What's Up. Don't miss it. In late July, we sent a challenge out to the community – what if you could design an achievement for the final Gears of War 4 achievement drop EVER? Well, as always, the community responded in force. In just over a week, we had hundreds upon hundreds of ideas submitted on the achievements you would like to see make the final 500G. We had SO many good ideas – some possible, some not – and it led us to a provisional list we posted last August. Once we had that provisional list, we began development to find out which ones we could – and couldn’t – make happen as well as adding a little spice of our own. Today, we’re excited to reveal our intended final list coming in our next Update targeted for early November. While this list is intended to be final, some of these achievements are still in the final stages of testing. We expect the list to not change, but consider this is a caveat in case something comes up. 'When The Shower Is Too Hot’ and ‘Who Want’s Toast’ from the provisional list have been cut. While they were amazing ideas, both were technically not possible within the game. Turn It Up To 11 (100G) - Earn your first Wings at Re-Up 11. Judge, Jury and Executioner (50G) - In any mode, perform one of each unique execution. Deadly Resourceful (25G) - In Act 4 Chapter 4, kill a Swarmak using a different weapon to pop each Blister on Insane or above. Hi, Mom. (15G) - Go home and say hi to Mom. I'll Take That (30G) - In Public Versus, kill an opponent holding a power weapon and claim it for yourself 5 times. Active Lifestyle (30G) - In Public Versus, kill 100 opponents with active reload rounds. Sorry, That's Never Happened To Me Before (30G) - In Public Versus, win a round of Guardian, Execution, Escalation or Dodgeball in under 60 seconds. Kinda Missed 'Em In A Weird Way (30G) - Complete a 25 or 50 wave variant of Horde with Marcus, Cole, Dom, Baird and Anya. Got Your Back Like A Buttcrack (50G) - Save your wingman by killing an opponent who downed them before they die 10 times in 2v2 playlists. The four secret 15G achievements are little love letters to our community. Two are directly inspired by ideas shared in the competition. The other two are, well, you’ll find out. We don’t plan on giving clues on these four, so let your fellow fans know if you’ve unlocked one! Good hunting. There are only 4 spots remaining for the upcoming $200,000 Charity Invitational, and only one opportunity to earn one of these spots. This Saturday (October 27th) the final 4 teams (2 from North America, 1 from Europe and 1 from Latin America) will be decided via Last Chance Qualifiers in each region. Sign up today for your opportunity to compete against the best of the best in the November 17-18th event. Microsoft Store tournaments make their return this weekend at over 50+ Stores! Come as a team or on your own and compete for Pro Points and Gears Packs with other local players. Don’t live close to one of the 50+ Microsoft Stores hosting an event this weekend? Don’t worry, we have you covered. Weekly 2Ks return this weekend for its first week with the brand new map rotation! Everything’s up for grabs after the recent Point Decay, so make sure not to miss the opportunity to get a jump start on the rest of the competition, or the opportunity to earn travel coverage for upcoming events! With 5,000 Pro Points going to each member of the winning team, plus the recent Point Decay, the team that wins this event (along with the runner-up) will almost certainly lock in travel coverage for the Gears Pro Circuit Mexico City Open in February. And if that’s not enough of an incentive, there’s also the $20,000 prize pool (and rumor has it OpTic Gaming will not be attending). Watch as 12 of the best Gears Pro Circuit teams on the planet compete for $200,000, with half of the winnings going to support a charity of their choosing. With brand new, unique skins, awesome prizes and the top teams in the game, this weekend is not one you’ll want to miss. Greetings Gears, Vectes here, back with another edition of Museum of Community Glory. 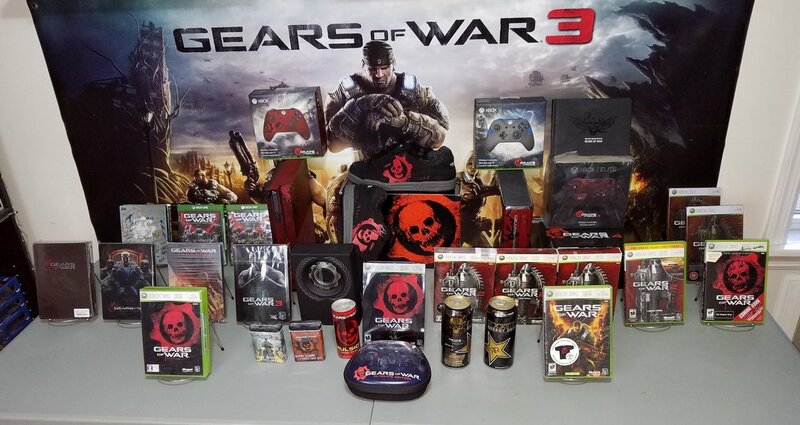 We love it when our fans geek out with Gears of War collectibles, accessories, toys, apparel… there are so many across all different games that it is sometimes difficult to track them all. That said, we might have found the biggest Gears of War Collector! As you will see, he doesn’t really focus on any particular type of items, but rather tries to put his hands on anything Gears of War. His Gears collection is currently clocking at over 200 pieces! See more of his collection by watching these great videos on his YouTube channel, subscribe and give him a like! You can also keep in touch with him on Twitter and Instagram. Join us later today at 3PM PT/ 6PM ET for our Gears Weekly Live Stream from right here at The Coalition! Claim the Corp Lancer skin for free to complete your Corp Skin set, play with us and get your questions answered. 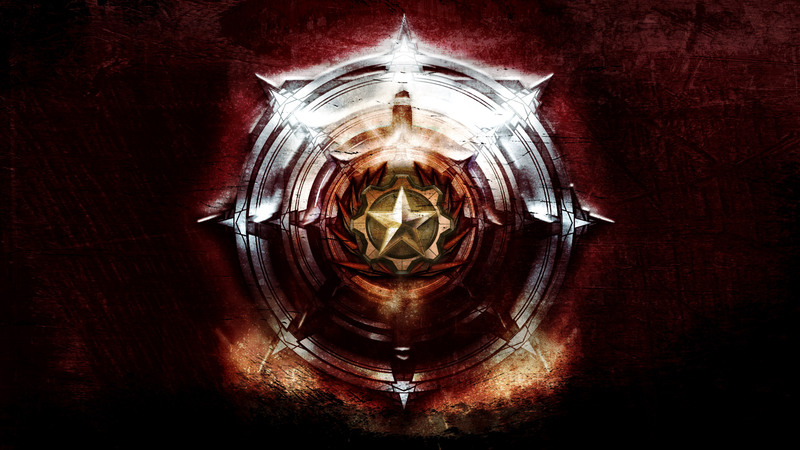 Bookmark this link and hop in at the time shown above: https://live.gearsofwar.com. See you there, right?